First published in June 2012, the Charter encourages the promotion and management of Scotland’s geodiversity and better integration of geodiversity into policy and guidance, consistent with the economic, social, cultural and environmental needs of Scotland. This will help to protect a crucial aspect of our natural heritage and deliver more sustainable management of Scotland’s natural resources. 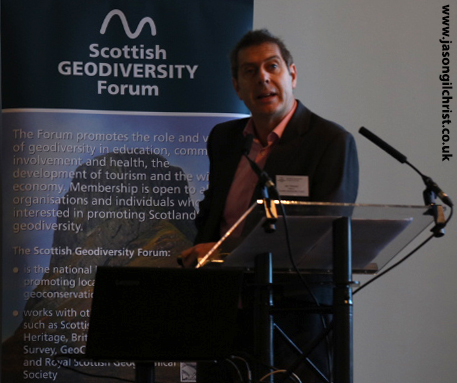 The Charter has been revised and updated by the Scottish Geodiversity Forum and partners. This renewed Charter for 2018-2023 was launched at a conference at Dynamic Earth in Edinburgh on Thursday 16 November 2017.